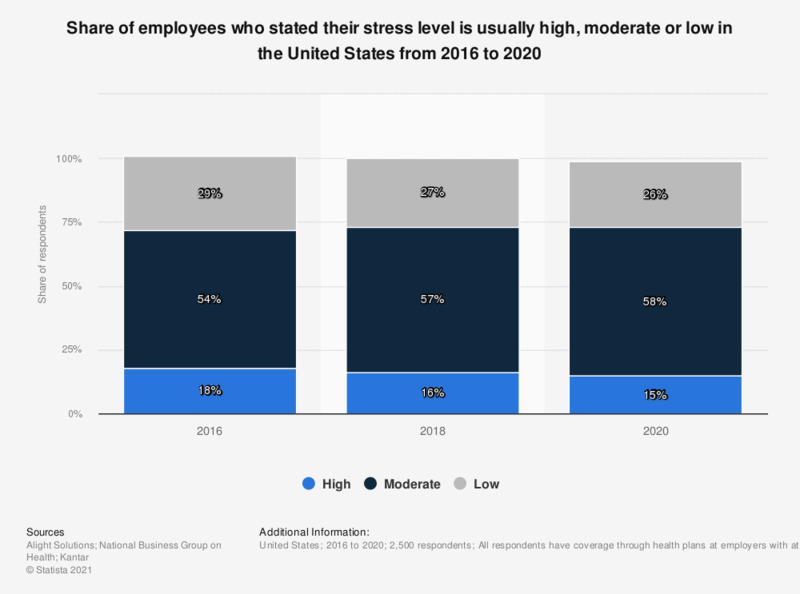 This survey shows the percentage of respondents who reported their stress level is usually high in the United States from 2012 to 2017. Almost 54 percent of respondents suffered from a high level of stress in the year 2017. Figures represent percentages citing “overwhelming,” “high,” or “slightly high” on a 6-point scale. Women: How much do you agree with the statement that you are more stressed than you should be?